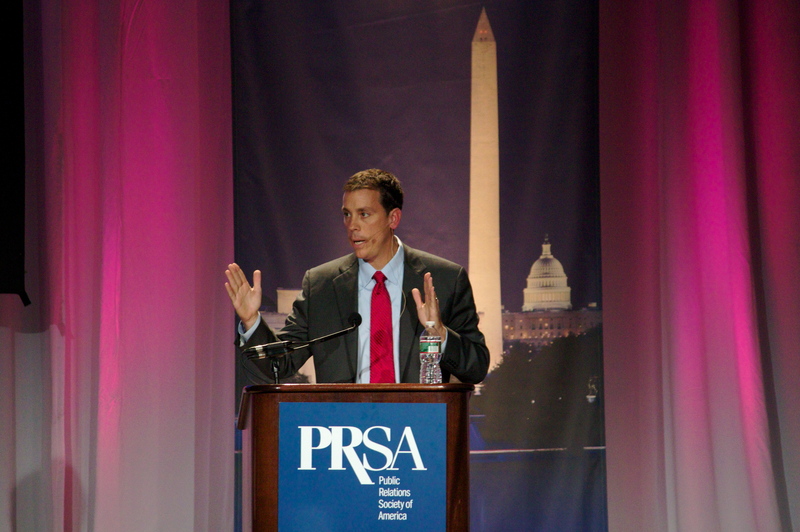 As you might have seen on twitter, I spent the last few days in Washington D.C. at the PRSA International Conference. 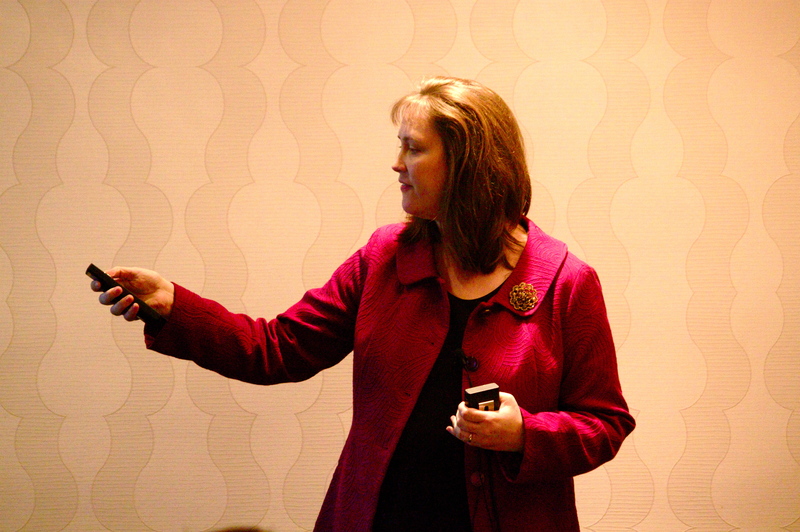 You might remember another PRSA conference that I covered in NYC. Well for some reason, they actually enjoyed my writing and invited me to cover another conference. 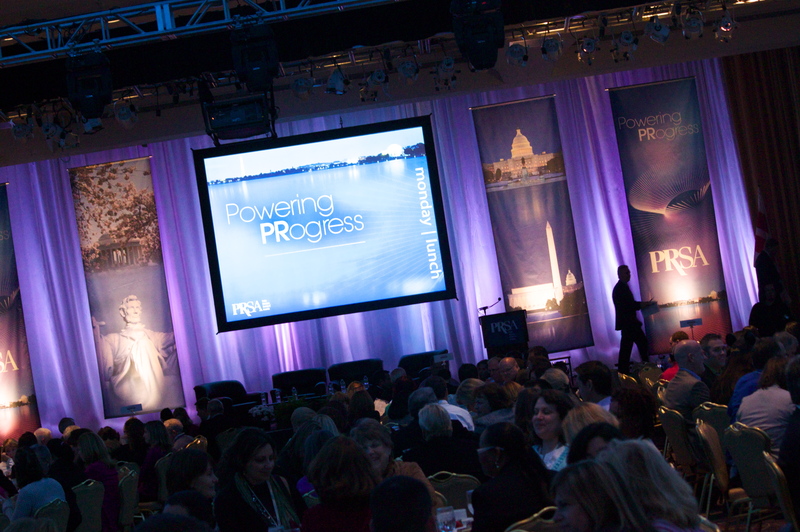 It hasn’t even been a year since the last PRSA conference that I attended, and it quickly became apparent here in D.C. that the PR world is evolving. It’s growing and it’s learning. While many of the speakers seem to be at the same point they were a year ago, the attendees are clearly more knowledgeable, asking better, harder questions, and seem to have begun to grasp how this whole social media thing plays into PR and communications. Overall the speakers ranged from really insightful to the bare bones basics to pretty useless. Keep in mind that, as is the issue in any conference, the range of experience amongst the attendees makes it difficult for speakers to please everyone. I’ll give you a quick summary of the panels that I attended. I really enjoyed Jim’s talk. He’s someone who’s personally experienced the changing world of online media. People are going to 25-30 different news sites on a given work day. People start their web consumption when they get into work and stop when they get home. It’s the “age of niche”. Jim has experienced first hand the massive destruction of the news industry. He explained that today is the “age of niche” where people are looking for specific expertise. They’re looking for what they really need to know, not the clutter. It’s because of this that we’re seeing niche publications filling in the gaps and big overall media sources are losing traction. You can now deliver a message or ad to a niche audience with direct precision. Jim then touched on people’s changing reading habits. People are fickle, constantly changing their resources for information, their mobile devices, and their expectations. What someone expected 3 months ago might not be what they expect today. Companies and information sources have to be in a constant state of evolution to survive. Smaller, agile companies and minds will thrive. This was a panel that I have to say, I was pretty disappointed with. They did have a unique method of selecting content, by having the audience vote on which case studies they wanted to see. While the panel was somewhat entertaining, it wasn’t very useful in the end. They only gave 2 minutes per case study and pretty much just explained what happened without providing a lot of information around the case studies which is really what people need to know. I can look up the videos on youtube. They discussed some obstacles that they faced in bringing in employees and CEO’s to participate spoke about everything from the southwest rapping flight attendant to the old spice campaign. I’ve heard Kami speak before and so I knew this would be a good session. 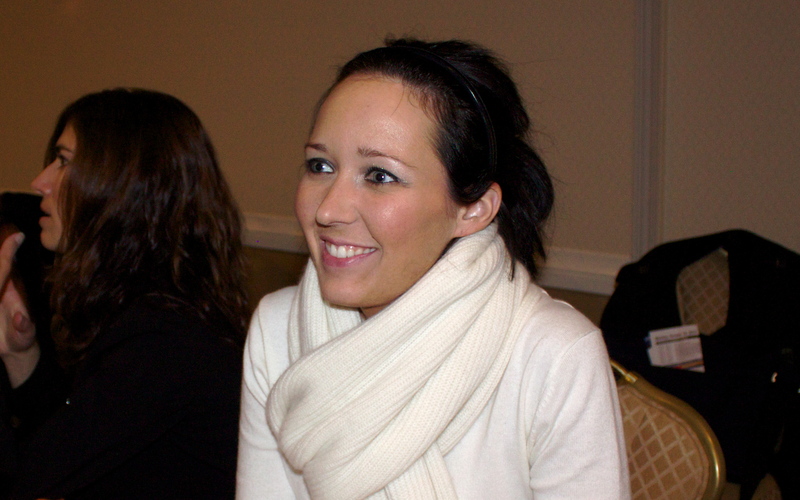 She broke down different types of cause marketing based on a number of criteria. Cause marketing can be linked. When brands just choose a cause to support because it’s convenient or popular, without it actually being aligned with the company’s mission and brand, it is the least effective. A brand can be connected to a cause. Take up a cause that’s aligned with your goals and also shows a positive ROI at the end. Yahoo used the “You in?” campaign to encourage people to post status updates to report acts of kindness in social networks. It also drove users to their new status update tool. A campaign can also be synergized when it is aligned with your business goal but resides in your CSR program. Kami gave Pepsico’s Pepsi Refresh Project as an example. I was able to catch the last half of Lee’s talk, which I didn’t want to miss because Lee and his SEO blog is THE resource when it comes to SEO in my mind. I’ve been following Lee’s work for as long as I’ve tweeted…and he promised me he’d add me to his marketers with beards facebook group if I went to his session. – When you create a blog post, use keywords in the url. – The title might be 15 words long but shorten up the url to the essence of the keywords. – Use synonyms in your posts…but don’t focus on this too much as it often occurs naturally. – Link to older blog posts using keywords. – Encourage inbound links wherever possible. – When you can access the same content from two different links, it’s possible that both won’t be ranked so only have the content on one page within your site. – Name bio and url are really the only things you can optimize. The links are no-follow. This was an interesting panel, action packed with some of my favorite PR leaders. Usually, people complain when speakers comment on their own “influence”, as it can come off as bragging. On this panel however, it was the topic of discussion. Can personal influence be used to drive business results for your company? How can you become more “influential”? These are the types of questions that the panel set off to answer. Overall it was a really interesting discussion and the audience asked a lot of great questions. So is influence something you should seek out in your career? It sure seems to be playing a bigger role in where opportunities arise. I watched Kyle of Vocus speak about a lot of really basic social media stuff. Most of it was pretty dry and lacked any real focus. He went through random areas of social media from ranking high on Google to pitching journalists to keyword clouds and sentiment analysis. The content didn’t have much meat to it and there really wasn’t much you could take away. You no longer have control over your brand. Social Media hasn’t replaced Google search. If you make someone scroll down on google, they won’t find you. Journalists aren’t reading your emails anymore. They’re getting around 300 press releases a day. They’re finding their next stories by searching Google and reading twitter. Your news release can also help consumers make a decision. I actually disagree with a lot of what he said. Things like, “all journalists aren’t reading your emails and that they’re finding their stories on Google and twitter” just aren’t true…as you’ll learn in the next speaker review. He made a big case for the accuracy of sentiment analysis, which to me is still way too inaccurate to be considered a worthwhile business tool. It’s definitely interesting and has a lot of potential. To say it’s something that you have to be using today just doesn’t seem on point. I’d like to see more actual applications with these concepts and ideas next time. The talk was very based on his personal observations. As someone representing a media outreach platform, it would have been great to hear about the new media space and how to adapt your integrated communications strategy. I finished my conference with a talk from Michael Smart and I have to say, it was the best presentation I’ve seen in a while. If I wrote down all the gold that he was spitting out, this would be a blog post in its own. I’ll try to summarize as best I can. Michael was a great presenter with entertaining content, a smooth flow, and really smart ideas that were easy to grasp and apply to your own situations. The talk was pretty much all about pitching media. I would have liked to see more on the blogger end of things, but he ran out of time and didn’t get to dig into blogger outreach too heavily. Either way, his insights into how to effectively get coverage for your company was truly helpful. He constantly supported his ideas with examples, and even specific subject lines that we could try ourselves. It’s not always possible to build relationships with journalists, as you’ll often be advised. So you’ll usually have to rely on the quality of your stories. It’s all about personalization. The message has to show that it was written for that specific journalist and no one else. If you do you’re job right, you’ll be a regular asset to them. The most important thing that an email must show is the end. Keep it to 304 paragraphs tops so when the journalist previews it, they can see the bottom. When writing subject lines, you should still be honest and consistent. Think about magazine covers. They use numbers lists, tell stories, and ask questions to draw readers in. Tie your story to a trend. To journalists, three examples make a trend. How have journalists professional lives changes over the last five years? Fewer reporters covering more beats that they’re not familiar with. Have to write stories in new and more formats. Hard to get a hold of them but more receptive to new materials. Barrier to entry it higher but it’s easier to get coverage. Gather for them everything they’ll have to end up getting themselves. Casually and comfortably propose an idea. Less formally then mainstream media. They’re not really as interested in what’s in it for their readers…it’s all about them. Prove you’ve read the blog. 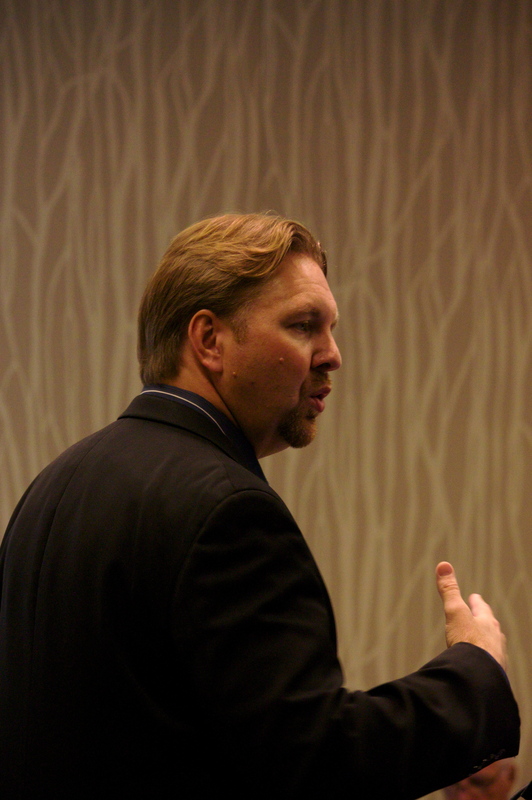 So that is my full recap of the PRSA International Conference. As far as the content goes, it was actually really useful. As far as the networking goes, I would like to see more focus put on this in the future. They did one mixer in the exhibit hall that was great. More things like that to bring the attendees together would really be valuable. Did you go to PRSA? What did you think? View all the photos in this post and more on flickr.